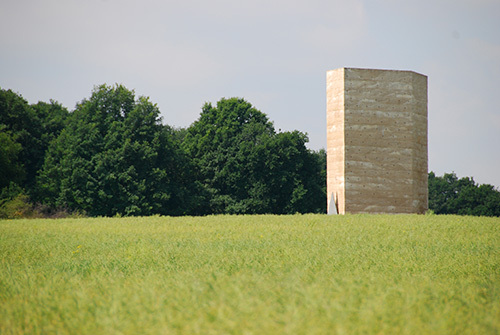 One of my favorite experiences on my recent trip was discovering the Bruder Klaus Kapelle by Swiss Architect Peter Zumthor, recent winner of the Pritzker Prize, one of the highest honors for an architect. Since 1979, Zumthor has run a small practice in a remote village in the Swiss mountains and takes on very few commissions. The chapel was definitely off the beaten path. T did quite a bit of preliminary research to find the chapel’s location and even with the wonders of Google Earth, we still ended up driving into a field and running into some tractors before finding how to get to it! The chapel is located on a farm in the tiny town of Wachendorf in Mechernick, Germany, near Cologne. 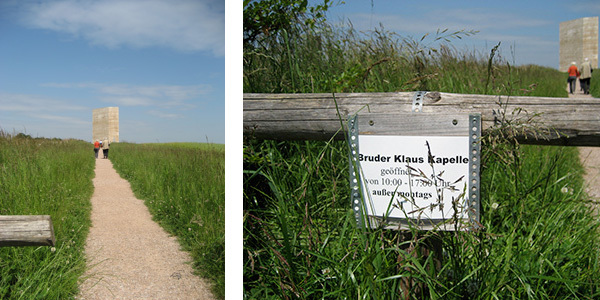 On the google map (below), it lies in the fields between In der Rüsche and RissdorferWeg. The access road to a parking area is near In der Rusche. The approach to the Chapel is part of the experience. After parking, you walk about 20 minutes on a dirt path through fields. The building reveals itself as you approach and are led around it. At first you see only one side, then the light gradually reveals that the structure is a parallelagram. On the final approach you see the triangular steel entrance door and small cross above that indicates its function. 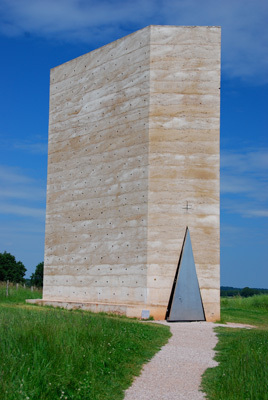 The Chapel, completed in 2007 and dedicated to St. Nikolaus von der Flüe, was commissioned by farmer Hermann-Josef and Trudel Scheidtweilerand built by them with friends and acquaintances. It carries on the tradition of chapels built on private land and it’s construction is fitting for its setting. The interior was formed by 112 tree trunks configured as a tent. The exterior is “rammed concrete” — layers of concrete, each 50 cm thick, were poured over the wood structure for 24 days. Once the concrete was set, a fire burned for over 3 weeks inside to remove the tree trunks, leaving the concrete shell. You can still smell the burnt wood inside giving the chapel the feeling of age and history. A portion of the ceiling is open to the sky and small pinholes are cut in the concrete to provide light inside. The only other source of light comes from the dramatic opening and closing of the steel triangular door. The floor was covered in lead melted on site and hand ladled on to the floor. The roughness, quiet and scale of the interior is a surprising contrast to the smooth light exterior and suggests a place of quiet and contemplation. Truly a wonderful experience. We were lucky to visit another of Zumthor’s works in Cologne, the Kolumba Diocesan Museum. 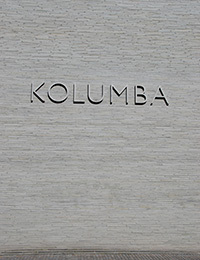 The Kolumbia was build in 2006/2007 around the remains of the Gothic St. Koluma Church which was destroyed in World War II. 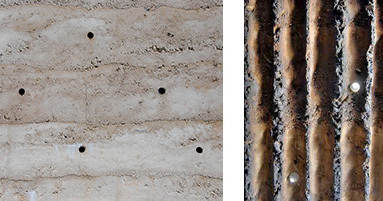 In this work, you can definitely see Zumthor’s celebration of the essence of materials whether concrete, steel or burled wood. As an art historian, I was also impressed by the curatorial decisions in displaying the collection. Medieval relics were successfully displayed next to contemporary pieces. Zumthor successfully brought together 2,000 years of art, ruins from a gothic church and contemporary concrete and steel in a very complex, exquisitely detailed and crafted space. The scale is very different from the Klaus Chapel, but even amongst the complexity, the sense of quiet remains. The location is a bit remote… we had a car and there was a parking lot nearby as I mention above. Your best bet is to use the Google map above to plan your trip. It is well worth it! Looking forward to hearing from your interest and further questions. I want to bring my partner here from Bristol in the UK as he is desperate to see this beautiful building but neither of us can drive. How far from Cologne is the church and is there any public transport to a town or village near by?